Sony Mobile has until now been an independent division within the Sony organisation, but this is about to change. The company has announced it will combine Mobile with its TV, audio and camera divisions and call the new unit Electronics Products and Solutions. Officially, this is a move to increase synergies between product lines. Some of this has already been going on, with some Sony Alpha camera and Bravia TV technologies being implemented on high-end smartphone models, but apparently there is room for improvement. Sony Mobile has been a weak spot in the Sony empire in recent years. With only 13.5 million units sold in 2017 and a decrease to an estimated 7 million in 2018 the division generated substantial losses of more than $913 million during the last four quarters. The camera division is doing much better, with an $804 million profit during the same period. TVs generated an operating profit of $714 million. So some investors fear the reorganization could be a move designed to hide the poor performance of Mobile behind the success of other units. That said, the company has set a target to reduce costs in order minimize losses and hopes to be back to profitability with Mobile by 2021. 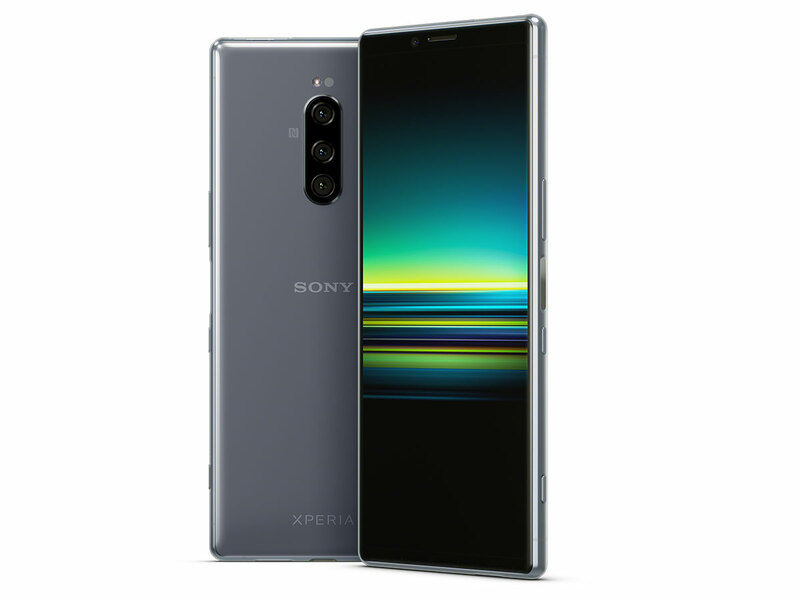 The new triple-camera Xperia 1 could be a first step into that direction. I don't care what you call yourselves as long as you produce an affordable 300mm crop zoom lens. Just changed the smartphone name to alpha and your good to go! "TOKYO -- Sony is cutting up to half its smartphone workforce as sales shrink in the face of stiff global competition. The job cuts come as the global smartphone industry suffers one of the severest downturns of recent years. Worldwide shipments are expected to decline for the third straight year in 2019 to about 1.3 billion units, according to U.S. research company IDC." If there’s one thing we’ve learned from Samsung’s soft sales of the Galaxy S9 through 2018 and Apple’s dramatically reduced forecast of iPhone revenues for the end of that year, it’s that most people who want a great smartphone already have one." Sony will soon leave the smartphone business and Samsung and Apple will remain. everyone hopes that sony will bail out of the sinking smartphone market, but they have plans for integrating their smartphones with other sony products, including sony car audio. apple and Samsung can't compete with the cheap Chinese smartphone companies, which is a big reason why they are losing business... so of course sony isn't going to compete there either. sony will still be selling 6.5 million smartphones this year, which is hardly peanuts. Before Sony Mobile there was Sony Ericsson. Before Sony Ericsson there was Sony Mobile and Ericsson Mobile. Ericsson were over engineered and over priced and could not sell into carriers because of Nokia and Motorola, and a factory fire in Spain that destroyed their only manufacturing plant. Sony thought they could sell because of their name, they couldn't, hence the start of Sony Ericsson. Sony Ericsson thought they could sell because of their name. But Apple and Samsung had joined the party. Sony bought out Ericsson. But Apple and Samsung and Huawei have killed them. Ericsson used to be a player in mobile phones. Sony Ericsson were never players, perhaps for a short while with the Walkman phones. Sony has never been a player and never will. They will slowly die in mobile. worst cell phone experience I ever had. I have had good and bad experiences with Sony. The ARC S was a great phone but after that I have had Samsung except for the Xperia Z2 which is the worst phone I ever had. The phone was overheating after shooting 20 photos, and 30 sec of 4K video and becoming so hot you could not stand to have it against your ear. I had 3 different Z2's in 2 weeks before I changed back to a Samsung S5. Wish Sony luck with the new Xperia. I love my Note 8 and the pen. No one but Samsung has that so I will stay there even though they also have their reliability and build problems. This looks like plain old consolidation. TV prices have dropped through the floor in the last few months. Sony phones have been losing money forever. The camera business is shrinking and Sony now has determined competition in mirrorless, so that business will clearly shrink too. It is doubtful whether the whole package will make any money. They also have the Entertainment unit (Gaming, Movie) plus Video part of the camera business, all of which are doing very well. Part of my point as to why they put all the losers in one bucket. Wouldn't be surprised to see it spun out or sold in the next year or so. Probably good news for Canikon et al. And Panasonic and Sony. The comment was business analysis, not brand identification. Sony will do fine in the sensor business, but the camera market is shrinking and all you have to do is walk into Costco to see what has happened to TV prices. The numbers tell the story re Sony phones. Some SONY cameras have Android subsystem build in, but mainly for remote controls b/c even most expensive cameras do not have the processing power as phones' chipset. I read one Sony exec say that there was, because of the structural nature of the company, a defacto wall between the phone and camera lines. Supposedly part of this this is to cross fertilize in both directions. Personally I never paid much attention to Sony, until about 6 months ago I broke my phone and needed one fast. Got a modest price ($300 out the door at a chain store) Sony and have become quite pleased with it. The next thing I would buy from Sony would be... a R2R (e.g. a TC 850 4). If they will decide to make some money, of course...(no, crappy cameras won’t help; but a R2R, well, I will immediately order it!!!). FWIW, economy is not slowing/down turn. Why are they so stubborn though? Is it not time to make drastic changes? They need to hire new people that actually have an idea of what the customers want, because whoever is in charge now is clearly not delivering. In the meanwhile I'll stick to buying Xiaomi and Nokia phones until Sony enters the 21st century. So true, Sony is completely lost on the smartphone dept. And overpriced. Sony mid-range phones are underpowered and very little support. Nokia has and had the best support for all of their phones. The only way I would ever have a Sony camera is if it came with a Sony phone. The only way I would ever have a Sony phone is if it came with a Sony camera. It's essential to understand that Sony is a company with a lot of branches, no matter how they' re integrated/related in mother company. The main selling point it's Sony logo and the pressure for profit it's more demanding due to its size. This may explain/justify a lot of their decisions in last 30 years. Cameras could benefit from powerful image processing available in phones. Camera image processors are many generations behind what is in phones. Yup, I hope this means the Alpha people will finally get some education on Qualcomm's imaging stacks. Sadly, given history, I suspect it's going to be the opposite. For years, Sony Mobile devices have had the standard Qualcomm camera/ISP stack ripped out and replaced by some abomination out of the Alpha division. DRM-laden and poorly architected, plus also highly inflexible. When all Qualcomm devices basically got RAW shooting for free, Sony's mangled stack means that Sony phones STILL can't shoot RAW. Whatever it takes to deliver me a RX1m3 and a new Compact line phone. Sony makes solid phones, but the competition is hard and even. Whichever company spends the most to advertising, sells the most. Advertising might get a few people interested but if those people do not like the experience of using the product enough to tell their friends or audience about it, it’s dead. I think Sony needs to integrate their Phones with theirs cameras. And also push the camera in the phone to a new level. Sony has they know-how and could be a great alternative to non-chineese products. I love Sony cameras and did a shift after 20 years using Canon. I guess you don't worry about security updates? I have had multiple iPhones still used by family members for over four years, and they are all on the latest IOS. @NetMage... It seems like Google is beginning to experiment with a similar update policy with AndroidOne. We will see how far they take it. This is a good move since the mobile div will now work closely with the more successful Alpha and mirrorless divisions. The mobile division should incorporate Sony manual controls on their Xperia line and some apps used on the NEX Line. For young people Sony phones are not hip or cool. They want apple or Samsung. Is it hip and cool to have a permanently cracked screen on your Apple phone? LOL! Not a concern when buying. Yes User514351234 all the hip and cool kids have phones with cracked screens. Personally, I don't get the criticism of Sony phones. I think that they are losing to Apple purely on hype. I stopped using iPhones because their font is too small, even after all settings are adjusted to the max. My Xperia, on the other hand, is a pleasure to use, an honest workforce. My Sony VAIO desktop served me for 13 years without a single hickup. Unfortunately, Sony got pushed out of that market by the Chinese on price, and by Apple, again on hype. In 5 years of owning my iMac, I had to replace its AMD graphics card 4 (thats FOUR) times, at $450 a pop. Every time Apple made up excuses. (Only recently have I found out that my iMac configuration was recalled... but only in Australia. Apparently, the US consumer laws are not as consumer - oriented.) I guess quality and honesty don't pay in this business. Still, I have a lot of respect for Sony. They are not only losing to Apple but to a lot more phonemakers. http://gs.statcounter.com/vendor-market-share/mobile Sony fills in 'other' just like a lot of b brands. And I do like Sony phones but price/quality wise Motorola (and many other brands) was the better option. I haven't heard much criticism of their phones. On the contrary, the few people I know of owning Xperias seem very happy with them. It's a hard competition, advertising and hype dominate over actual facts. I used to have Sony phones. They had waterproofing long before anyone else, and the phones are excellent for the most part. 3) Since the stack is so hacked up, Sony wasn't able to bring in upstream improvements from Google/Qualcomm, such as RAW shooting, which basically came for free to all other Qualcomm customers. Sony is an "also ran" in the phone business. Samsung as the leading Android device vendor would be a better comparison than Apple. At the device level, both Samsung and Apple (first and second in market share respectively) have extremely cost-efficient manufacturing and enjoy massive economies of scale. However, it's structurally much harder to make a significant profit on Android devices, with a free and somewhat fragmented OS, than for Apple with their unified and vertically integrated platform. "While Apple only captured 19% of smartphone shipments per IDC in the December quarter, it seized 87% of the profits" and "Apple’s profit share is over 4 times larger than Samsung, its nearest competitor" (see: https://www.forbes.com/sites/chuckjones/2018/03/02/apple-continues-to-dominate-the-smartphone-profit-pool/#58341cc761bb). I've owned eight Xperias over three years. One did NOT die on me within an year. Everything else died from electronic issues ranging from erratic behavior Sony techs admitted even they couldn't fix, to good old fried electronics, probably because of the constant 104f "normal working" temperature ("...yeah, don't worry, they all do that, it's normal..."). I've owned Sony phones from the Xperia S to the Z5 Ultra, always in pairs. It was ok when they had unique features (thumb fingerprint sensor on the side, dual sim card AND separate sd card slot, lanyard/tether hook elegantly integrated in the body), less so when they became just like everyone else. The first (non Z4 Verizon) Xperia with wireless charging (one of the recent models) was 11 or 12mm thick. Good job. My Note 8 is 8.5mm. I hate that it has a hybrid second sim card slot, that it has no lanyard hook and that it's bland as a marshmallow, but it works, and its regular temperature is 77f. Samsung makes market share instead of profit because most of their sales is in the low end. It looks like, to me anyway, the only real "photography element" that seems to be left in photography is glass. Film has been replaced by electronics and therefore a chance for the electronics companies to step into the game. Companies like Sony, with a background in electronics, seem to be a natural player. I am not sure about the quality of their glass, but they seem to be allied with some major lens manufacturers. Fifteen years ago, I swore that I would never go digital because film would always be better. Then I claimed I would never go EVF because OVF would always be better. Now, I never use film and would never give up EVF. I think there is a change in the photography business and the electronics guys are the guys driving it. Yes. There’s another probable change coming in digital cameras involving sensor technology but it is probably 5-10 years away. @felix Except that the Sony camera division is the continuation of Minolta, not a "company with a background in electronics". @SlyvanBromide. That is completely untrue about Minolta. Well, glass + chips + code. (Welcome to the digital era.) The pure camera firms seem to have had a harder time adjusting. But Sony and the other Japanese electronics firms that have pushed a more digital approach to photography with great mirrorless cameras should in turn look out: The Silicon Valley platform companies Google and Apple are leading a new wave of innovation with computational photography. @Ellis "That is completely untrue about Minolta." You should do some research before you make such bold and ridiculous statements. "Sony [...] bought the SLR camera division from Konica Minolta, Konica and Minolta having merged a few years before." There are many other references available if the above one leaves you still wanting to argue the opposite. Minolta rivaled Canon for a long time as a developer and manufacturer of cameras, optics, and electronics. Just on the photographic side they made very high quality light meters as well as cameras and lenses. One can hope that now maybe they can slightly improve the trend of making third-rate pathetic camera phones. Now their all cameras will sell like those Experia phones: that is, don't sell at all :) cause Sony phones are either too expensive or something else makes not competitive. It's baffling how Sony makes one of the highest quality LCD/LED panels in the world yet give us those horrid screens in their 3000$+ cameras. The Canon 200D/SL2 450$ camera has a significantly better screen than the A7III, with iPhone-grade touch functionality and a very colour accurate 3" wide-view panel. Canon seems to be getting screens from a high-end touch-panel manufacturer like Samsung/LG. I hope merging these divisions in Sony helps in the sharing if technology, like getting the alpha cameras Siny's high-end touch panels and their mobile AI/Compurational trickert, as well as the mobile division getting some Alpha tech like IBIS, great lenses, amazing DR, lowlight performance, hell they have the best sensors in the world and own Zeiss glass and have amazing computational power that they SHOULD be making the best camera-phones out there! This has always puzzled me as well. The only conclusion I could come to was that it was about power efficiency (as higher resolutions use more power and Sony cameras are very power efficient). Also, that since the rear screen images are all low resolution jpegs there wasn't any point. Have a look at their extrem good cameras but in the smartphones they are just average (not in terms of marketing). On the other side the touch screens from their smartphones are much better than the touchscreens (experience) from their cameras. If both departments will work together Sony will be much stronger than ever! There's another possible explanation: cost cutting to increase the profit margin on their cameras. All the manufacturers do this to some degree, only they don't necessarily cut costs in the same places. Ouch. That loss from the smartphone division wiped out the entire profits of the camera division and then some. Sony should get out of the smartphone business. That ship has sailed; there are too many competitors...Apple, Samsung, the Chinese brands, etc...all with established markets of customers and brand reputation. And they have deep pockets; deeper than Sony. It's a lucrative market if you can make it but it's a very tough market to compete in, and at this point there's little Sony can do to gain a foothold. Indeed. Some of the Chinese brands are VERY good. I have been using Xiaomi phones for the last couple of years. High end performance at a fraction of the cost of similar Apple or Samsung phones. If they don't have the right/really talented people, it will not work. Since Sony is still a reputable brand name in electronics, after this merger, I'd design and make only top notch smart phones like Samsung Note 8. My first couple of smart phones were from Sony, but the software quality issues, lagging-behind specs drove me to Samsung Note Edge, and then to Note 8. When and if Sony made phones like these, I might jump back. The idea of Sony giving up on mobile is foolish and shortsighted. The better plan is to make adjustments to dial in better performance and profitability of that division. Years from now, when other camera companies *wish* they had gotten into mobile, Sony will be in a much better position. Because the reality is that the future is all about mobile. Smartphones are not going away. Mobile devices are not going away. Computational photography with mobile devices is not going away. It's only going to get more powerful. And Sony is smart enough to invest in the future, even if it doesn't mean immediate success. Sony is definitely a persistent company. But then again, they have the resources to be persistent. The problem with Sony phone is they are expensive. When they have virtually no market share, they should lower the price and later increase if market gain happens. They also have horrible camera inspite of latest sensor. Their mid range phones are overpriced and underpowered. They will die if they learn what people want. its Wouldn’t surprise me if this is a move towards the implementation of a smartphone like interface that replaces the LCD and introduces smartphone like computational photography capabilities to an a-series camera. Guessing that Zeiss’ ZX1 gave Sony engineers a bit of inspiration. I bet the ZX1 is a Sony camera. Zeiss has no leg in the camera manufacturing world, and it most likely was designed by a team in Zeiss, but made with the help of Sony, including a Sony sensor, Sony LCD, Sony EVF, and software. I am curious to see how intuitive the touchscreen interface of the Zeiss is. Outside of Samsung’s foray into a hybrid ILC smartphone camera, no one else has put in the effort to create an enthusiast level camera with the intuitiveness of a current gen smartphone. Well Zeiss has a leg in electronics. Also Fuji didn't have pretty much any camera division before making the X100 and now look at them. Not everything has to be made by the big 3. Fuji made a lot of compacts and super zooms before that, as well as a few DSLRs based on Nikon bodies. But yeah, the X series was the start of a new era for Fuji, no doubt. Fuji of course have a LONG leg in electronics manufacturing, including sophisticated chipsets, processors, medical microscopes, radiology equipment, etc. While Zeiss relies solely on contractors, and it's an educated guess that Sony are their supplier for electronic design & manufacturing, the ZX1 is most likely an entirely Sony camera with a zeiss lens & badge. Zeiss certainly has a leg in electronics. They make many different kind of optics, microscopes including electron microscopes and vision systems for medical use. Last year there were rumors Sony wanted to combine electronics divisions and sell them. This is the first step. Sony Germany at Cp+ said Sony camera division is losing sales and market share. Now they combined it with the most inept smartphone maker on the planet. That does not bode well. Losing market share does mean they sell lesser entry level models (because they haven't released any) but report they sell more premium cameras which have more profit per body. They Earning report also tell increase in revenue for camera division. Market share for shrinking market is not a good/stable performance measure. Sony said they are losing sales and market share due to competition. That is bad news no matter how you spin it. Now cameras are getting dumped in to the Sony loser electronics bucket. Their CEO said he wants to stop selling "gadgets" and focus on insurance and subscriptions. Look for Sony to shop this new division (filled with losers) to the Chinese or Koreans. Usually companies don’t combine divisions and sell them. They try to separate them as the individual pieces are more valuable to companies that may not want, for instance a camera business AND a cell phone business. "Sony Germany at Cp+ said Sony camera division is losing sales and market share." No, Sony DIDN'T say that. I saw a similar claim from Thoughts R Us. Took a while to find the 'source'. Turns out it's a youtube blogger who says someone from the Sony stand at CP+ told him that Sony Germany expected to sell fewer cameras in 2019 due to increased competition. So this statement is not an official announcement from Sony Germany or even from an interview with one of it's employees, it is a claim made by a youtube blogger. To put that into context I was at CP+ as well and a Canon rep told me the next Canon camera has a Sony sensor in it and if it doesn't sell they're going to switch to just making lenses. It came straight from Sony. They expect to sell fewer cameras in 2019 because of competition. By August we can revisit this. I am sure we will find Sony was correct. No, we won't revisit it in August, let's discuss it now. Please link to the statement from Sony. The manager said it in the presentation. Sony sales are falling and they expect to lose market share due to major competition. Sony's sales aren't falling. They lead the only growing segment of the camera market - FF mirrorless. At the A6400 launch Kenji Takana (head of Sony digital imaging) said that Sony sold the most FF cameras for the whole of 2018 - the first year they have done so. He also said that they increased sales in every market segment globally despite increased competition. 9:15 in. "Sony Germany expects to sell fewer camera due to incresed competition and market reduction"
If they try to merge cameras with their other money losing divisions we'll know it's really bad. Seriously though, Sony's CEO said he wanted to bundle "gadgets" and get rid of them. He said they are not Sony's future. Sony's future is subscriptions, insurance, and entertainment. Quotation marks - " " - are for actual quotations, not stuff you just made up. Those are the actual quotes. We know Sony barely had a 13% global market share last year. It could go to under 9% in 2019. Probably why they are getting lumped together with the other failing "gadget" divisions. Wow amazing what people can get out of a merger of divisions. Have you ever heard of synergy effects? BTW Sony mobile division have their development in Lund, Sweden (Ericsson). If Sony was doomed and only wanted to sell film, subscriptions and not gadgets they wouldn't hire several 100 engineers the next couple of years for their CMOS fab. Google Bloomberg, Sony CEO and gadgets. Sony wants out of the gadget business. This is nothing new. If they do lose a lot more market share as Sony Germany said, Sony will probably dump all the gadgets. And the cowards have pulled out of Australia/NZ altogether in the phone market. They destroy Ericsonn then continue to make ugly phones and now have packed up the ball and bat. I wonder why Sony keeps trying with phones. They look cool but are just so crazily overpriced. Maybe they'd want to look into their pricing models first. Anyway who remembers the CyberShot phones? Yea that was during the Sony Ericsson era when phones were actually good. This is good news, but 21:9 aspect screens and their still insisting on using smaller, cheaper sensors than they supply to some of their customers or competitors (48MP 1/2" IMX586, 40MP 1/1.7" RGY for the P30 Pro etc) doesn't fill me with optimism. As of now, they continue to charge an Apple like premium for inferior hardware ... which hasn't worked and won't work in a competitive Android market. Can we hope for a saviour knight from the mobile division to go to the Alpha engineers and say hey, would you like to implement a TOF sensor and artificial intelligence depth-of-field simulation to get f/1.2 aperture look on your kit lenses? And then the one person in the camera division who understands cameras will be arrested for manslaughter. Sony, just release a 30 camera mobile phone already and I will consider buying. I guess it's a way to hide the losses of the mobile division in the profits of the camera division. Sony never really seemed to be trying with their phone division. I wonder why they still bother. Maybe Sony will use the same YouTube bloggers to promote for their phones. Those vloggers will start hypeing the sh... out of them. This is a good move if it increases the chances they'll use smartphone camera technology in their cameras. I like my RX100, but at the rate at which smartphone cameras are improving, I see myself reaching for the camera less and less often. So the A9.1 will be a 55 inch tv that shoot 4k and i can make a call. Back in 2006, the last time I owned a Sony Phone, they have an excellent 3.2 Megapixel camera with a real flash and a 35mm equivalent lens which had an f2.8 aperture. They were known for their above average ability to play MP3 at high quality with a low battery usage, and the battery life could be measured in days. I fondly remember that phone, but the generation that followed was not really any better and was the last great Sony Phone before a 12 year decline. Since Sony makes most of the sensors and lenses used in modern smartphones hopefully they can find a way make a better phone with good camera functionality. However, as others have noted, the fact that they stripped out all of the good features to not compete with their customers and camera division for SO many years, means that the value of "CyberShot" branded phones is probably worse than zero. Now they're know for being expensive+poorly built with features and functions trailing the competition despite a premium price. In 2006 there were no Sony phones. They were Sony Ericsson. I've been using them since around 2003. Now I'm using my last fully working one sadly. Just a few hours ago I was looking at ebay to see what old-school replacement I might like. Sony was making phones somewhere from 1997 to 2000 and later from around 2013 or so afterwards. Both Sony and Ericsson brought so much to the merged brand. I'm guessing you're talking about the K750i, which had a 5MP sensor though, and also autofocus and an automatic cover. Best phone ever really. Could make photographs that I'd not be ashamed to call by that title. Would hold really well today still. I still have one for my tertiary phone number. The battery would still hold for week a year ago (on a 12 years old phone mind you), now it's connected to the charger permanently. Sadly the cameras are broken on both of my units. i'm still using the k700. there are plenty of ‚‚high end" SE phones out there, including C902, C905, K800, K810, K850 and W995 models. All of those costed a fortune when introduced. there is something about ,,classic phones". Sony makes a wonderful personal music player--okay one can't pull the battery out: It only retails for $3500. Sony doesn't really compete with the $700 PMPs from PIoneer or FiIO. "The camera division is doing much better..."
That (previous) division includes Digital Imaging Group, Professional Solution and Services Group, Professional Products Group, Medical Business Group, and FeliCa Business Division, so it's impossible for an outsider to determine how profitable Sony's cameras are. And "cameras" (Digital Imaging) includes video and broadcast cameras and projectors, along with still cameras. I think there's a printer business somewhere in there, too. The division's official name was Imaging Products & Solutions (not cameras), which reflects the wide range of products that it contained. Sony should give up on mobile technology and license it from others just like Nikon buys their sensors. Then they should come out with the RX100 Mark VII with all the computational photography tools of the Pixel 3 and the Huawai P30 and turn the entire industry on its head. I would pre-order an RX100 MkVII price unseen on a development announcement like that! The same guys who buy Canon cameras. Keep in mind, people used to also say "Who buys Sony cameras?" Hahaha. So we have here 3 of the 10 people who actually use Sony phones. That doesn’t make sense. It’s not like Sony phones have 50% market share. You should’ve said, like Pentax or Sigma.